All the participants at the end of Conference were asked to fill in the Conference Evaluation Form. Below you can find their comments. Austria I really enjoyed the conference: I had the opportunity to learn a lot and have interesting talk to peole from all over the world. The broad horizons of the presentations are what I liked the most. Finland Thank you! Once again the conference had a great organization and arrangement. There were varied papers and contents for a great inspiration experience: The Future of Education is still so very different as we are at different stages. There's still much to learn and much food for thought! United States You are doing the best! 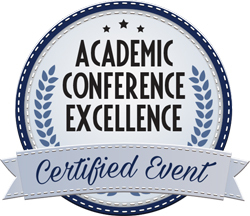 I have attended many conferences around the world, and yours is definitely the very best. The organization was excellent, everything was perfect for a high quality conference. India All was good, I really liked the conference. There has been a great hospitality and cordial atmosphere, with a meticulous attention to detail in arranging every possible thing for the participants. India The conference was organized with great attention to details and perfectionism. Information provided prior to arriving in Florence was so helpful. Some papers were extremely good, they're something I would take home and apply in my setup. Canada The conference contents were excellent. There were more papers of a critical/theoretical nature, which definitely contributed to the excellence of the conference contents. I was particularly impressed with the organization of the event, its professionalism and its conscientiousness, and the outstanding attention and help of the staff on site. Finland The conference is on a very relevant topic that enables to bring various professionals together. The choice of events was great in its range and quality. Perfect choice of time and place. The organization was very efficient and participant-friendly. Well-done! Estonia I really liked the new ideas presented, the subjective viewpoints and all the cross cultural aspects. USA I want to thank you and your excellent staff for an amazing conference. It was very professionally organized. I feel very inspired after meeting so many people who are committed to the enterprise of teaching, particularly in higher education. I am eager to follow up on professional connections that were made and that I might never have been able to make had I not found your conference and submitted a paper. Thank you. China I really liked how the conference was organized and the atmosphere during the whole event. Ireland Excellent organization before, during and at the end of event. Thank you for a wonderful experience. UK I have to express my gratitude to Pixel for organising such an inspiring and relevant conference which offered good opportunity to raise awareness of new innovations in education and also networking among education professionals. Lithuania One of the best conference which I attended during the last 8 years in Europe. Bulgaria The conference was perfectly organized. It was useful for me and my university. The contents of the conference were at the highest level and can help our education system to reform. There were very interesting papers with clear concepts. 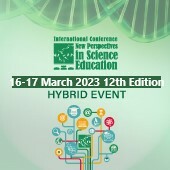 This conference can help the development of the thinking and ideas of the future of education. United Arab Emirates The best points of the event were the environment and the competence of the organizers. USA I was pleasantly surprised by the quality of the presentations and the quality of the presenters. I really enjoyed the opportunity to hear good speakers and the chance to meet and talk with the other presenters. USA Excellent organization! Very helpful staff. Thank you! UK Thank you, for making the event a success, the warm reception and professional attitude from the team and delegates was the contributing factor. I learnt from other delegates and hope to maintain contact and apply the knowledge in my practice. Ukraine Very well organized conference. Extraordinary presentations, very interesting. Positive atmosphere for communication. USA We appreciated very much the organization and communication, as well as the efficiency and location. Well done! USA Very well organized, positive feedback with other participants. I enjoyed it all. Great Job! Australia There were so many interesting themes and topics and the length of each presentation was optimal. Plus the location is really beautiful!! USA I liked meeting colleagues form all over the world, sharing ideas and seeing that many of the issues and problems we face in our profession are the same. USA Excellent organization and service. I liked the global perspective and the focus on education innovation and applied research. Bulgaria The organisation of the conference was excellent with a particular attention to every detail. It is the best organized conference I ever attended. The presentation made were interesting, concrete and informative. The speakers were passionate in presenting their ideas. They know how to keep the audience’s attention. The conference offered a series of interesting alternative perspectives. I enjoyed the good energy shared! All was great. I enjoyed some forward looking papers and finding out about interesting developments in education. 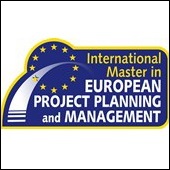 Very good opportunity for networking with people working in similar projects. I liked the conference very much. I made several contacts with colleagues from all over the world. The papers presented were all very intriguing and varied.